A dental implant is an artificial root that is placed under the gum by a simple surgery. The placement takes approximately 20 minutes and it is done under local anaesthetic. The healing time is about 5 months after which a connecting abutment and a crown can be placed on top. World-wide recognised Alpha Bio implants without crown starts from as little as £480 both in Budapest and London and comes with a lifetime guarantee. 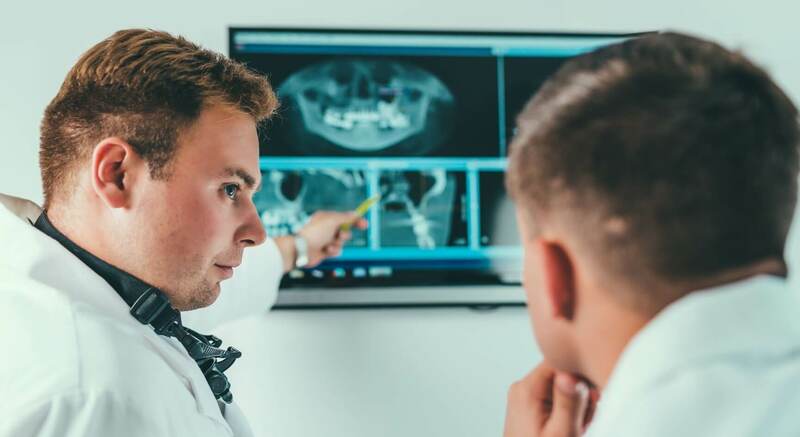 Patients who lack sufficient bone mass may have been discouraged from implants or told they need to undergo bone-substitution prior to placing dental implants. With the All-on-4™ technique, virtually anyone can have beautiful new teeth in a single visit - even if you have been told you are not a candidate for traditional dental implants. Not sure if you qualify to receive dental implants? Dental implants are the best option to replace missing teeth. Most people qualify for implants but not everyone. Our dentist can evaluate you to see if you would be a good candidate.